↑ "Monitor". Entertainment Weekly (1277/1278): p. 36. Sep 20–27, 2013. ↑ "Amy Poehler". TVGuide.com. 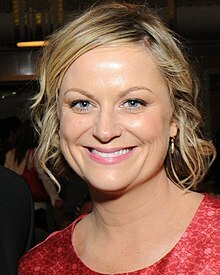 http://www.tvguide.com/celebrities/amy-poehler/bio/139415/. ↑ Raftery, Brian (ستمبر 25, 2011)۔ "And.۔. Scene"۔ New York۔ Retrieved جنوری 26, 2016. ↑ Ziboman, Jason (فروری 19, 2013). "Laughs Can Be Cheap at a Comedy Theater". https://www.nytimes.com/2013/02/20/theater/upright-citizens-brigade-grows-by-not-paying-performers.html.